« PIC: Dinner in Lansing. Or how to gain 10 lbs in one night. 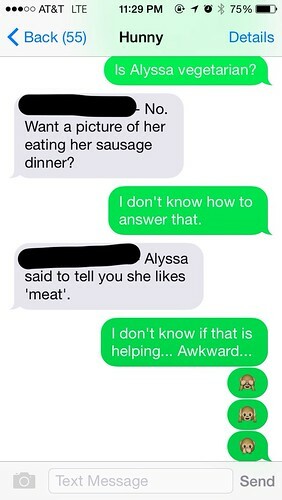 Screenshot: Text msgs btwn me & @TheOtherYoshi, who is at a group dinner w/ our friend Alyssa, originally uploaded by @jozjozjoz.